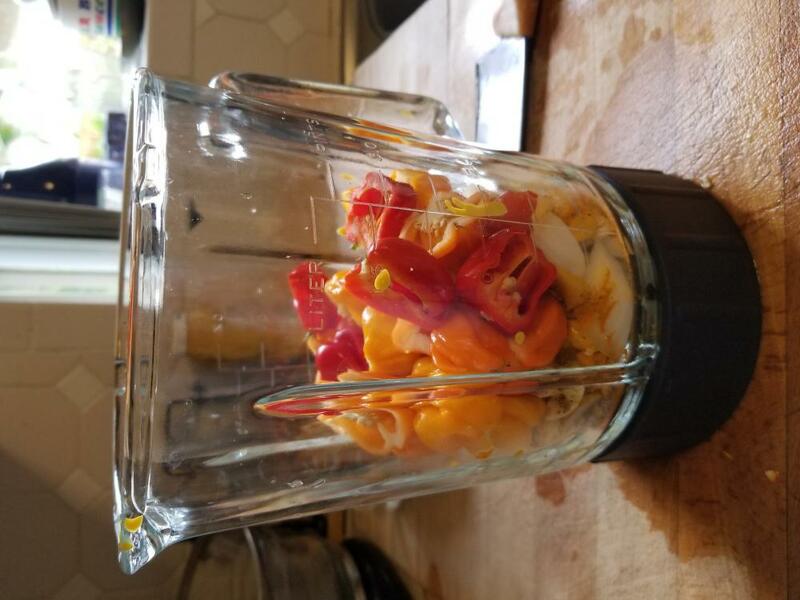 Yellow and orange scotch bonnets, Red habs, 7 pot yellows, onion, garclic, tumeric root, mustard, salt, pepper, coriander seed, a pinch of allspice... blended up going to let it chill in the fridge overnight, maybe add some grilled pineapple or lightly smoked mango before cooking up and bottling tomorrow. I havent decided. That looks fantastic. Are the yellow pods scotch bonnets? 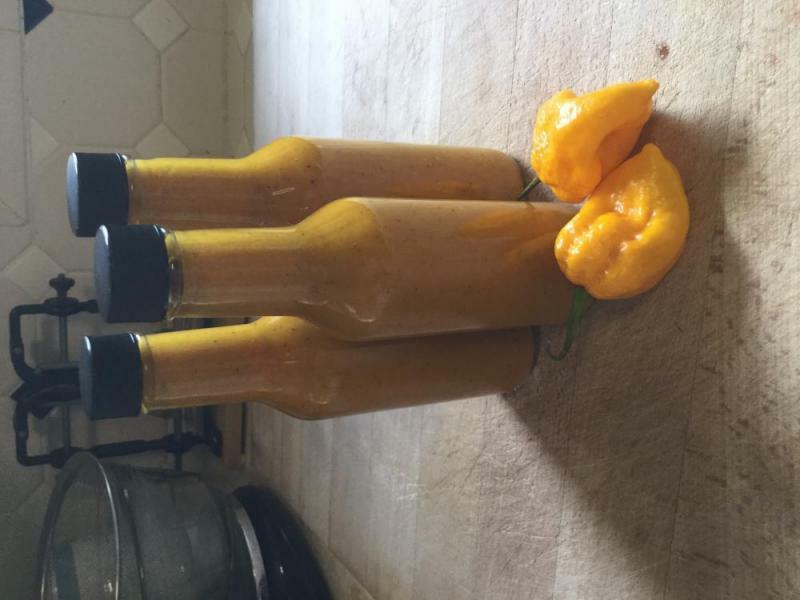 They look like my fatali pods. I'm having a "I've fallen down and can't get up" moment while looking at those pics. Hahahaha just tilt your head sideways... this iPad and THP dont get along very well. My apple bat phone has gone Jack Nicholson.